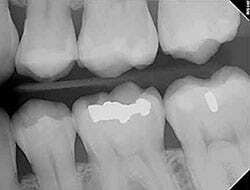 Dental x-rays are very important to provide the right treatment to our patients. A digital x-ray is safer than a typical x-ray as it exposes the patient to very little amount of radiation and provide a higher acuity image with more data giving the dentist more insight into your situation. Why Might I Need Digital X-rays? Digital x-rays are affordable and convenient. We offer dental x-rays in Richardson at low rates.